One of the most widely discussed topics in the learning industry is how to encourage your team members to make learning a regular habit. In this post we explore rewards, incentives and motivation, and how our EduMe community are using these effectively. Countless theories of motivation have been proposed over the years to explain why we act the way we do. One of the best-known ones is incentive theory, which suggests that behaviour is motivated by a desire for reinforcement or incentives. So what exactly is an incentive, and how can you use it? 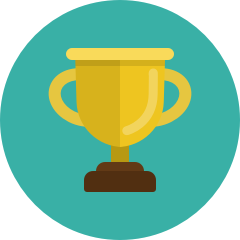 a reward is a prize or benefit given to someone for an achievement, for good performance, etc. Offered as part of monthly packages or as a one-off onboarding bonus. Previous prizes have included a slow cooker and smartphones, whatever works for your teams! A range of prizes for users who read all EduMe Messages and have the highest course completion over a given time period. Connected to sales targets and communicated through EduMe Messages. The release of company smartphones based on onboarding course completion for new starters. The release of stock to field sales agents based on the completion of recent courses. Agents who get 100% in their end of week test for 4 weeks in a row receive company merchandise such as t-shirts, jumpers, etc. The biggest benefit we recommend is having team members at all stages and levels involved in promoting engagement. This has led to a 116% increase in sales for Greenlight Planet and a 66% increase in productivity for Tigo. Want to find out more about how to use incentives and rewards to boost learning engagement? Book a consultation today!